This course is made for those who would like to work as an electrician within the building services engineering sector. This course develops the understanding gained during the 2365-2 course further. Including a mix of practical and theory-based work, trainees will learn everything from diagnosing faults with electrical installations to designing installations from scratch. This course is only available if you have attended and gained a City and Guilds 2365-2 qualification beforehand. City and Guilds 2365-3 is made for those looking for a career as an electrician. It builds upon the basic modules in the level 2 qualification and is designed to give you a mix of practical and theoretical knowledge for use in working with electrical installations. Based in Sheffield, this electrician training course is perfect for those from Rotherham, Chesterfield, Barnsley and Buxton. Gaining a level 3 qualification will allow you to work as an electrical apprentice, or progress onto a Level 4 training course. Work towards an electrical career with ETC’s City and Guilds accredited level 3 electrician training course Sheffield, 2365-3. Level 3 expands upon the basic understanding of electrical installations learned in level 2. With this qualification, you’ll learn more than just the fundamentals and use a mixture of both practical and theory work to further expand your knowledge. 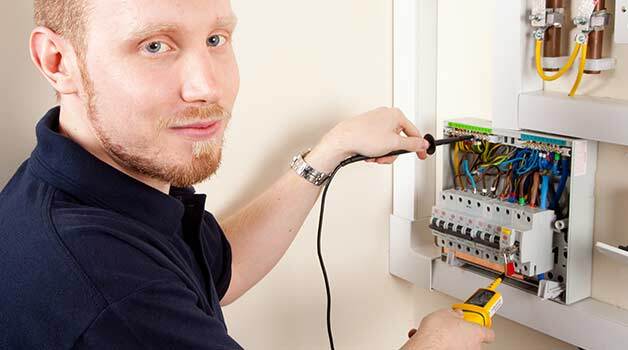 We strongly recommend this course for anyone interested in training to be an electrician. Although this course does not fully qualify you as an electrician, it does qualify you to take level 4 courses and to work alongside electricians as an electrician’s mate (allowing you to gain practical experience in the field, and work towards a full qualification).